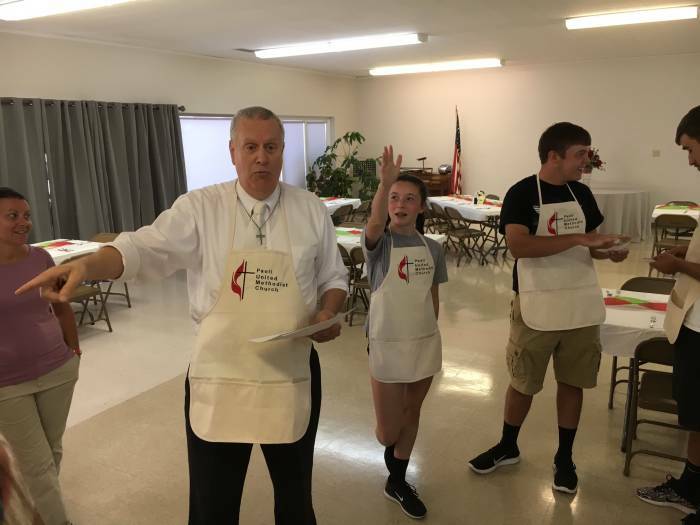 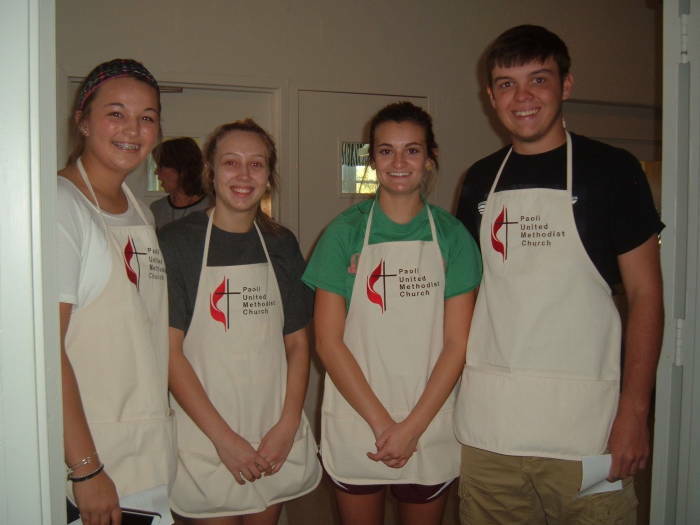 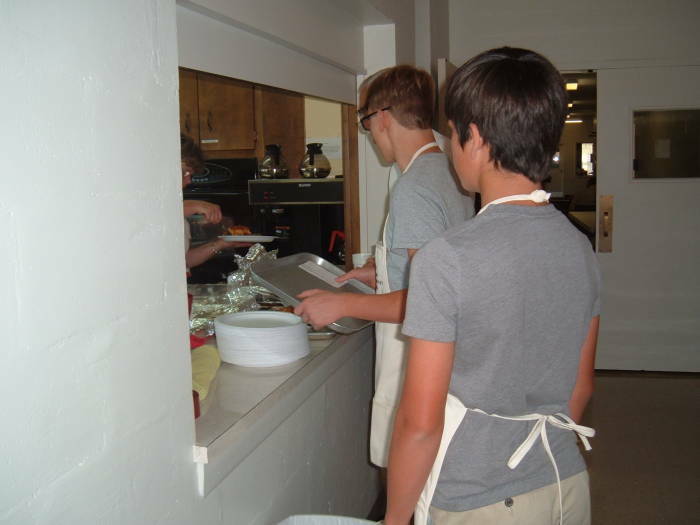 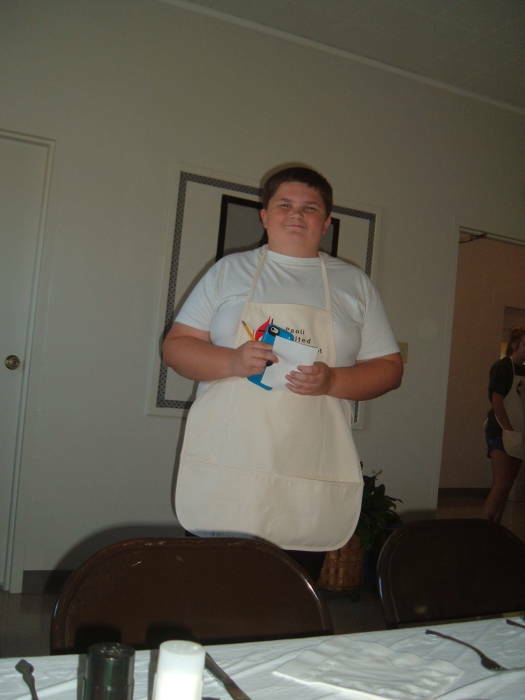 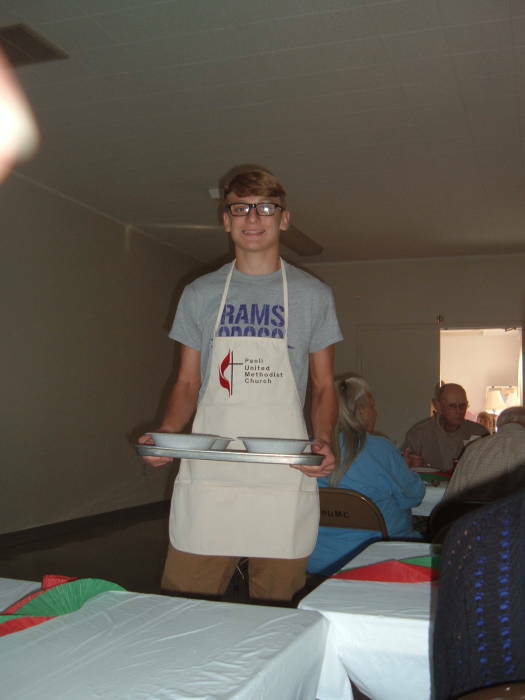 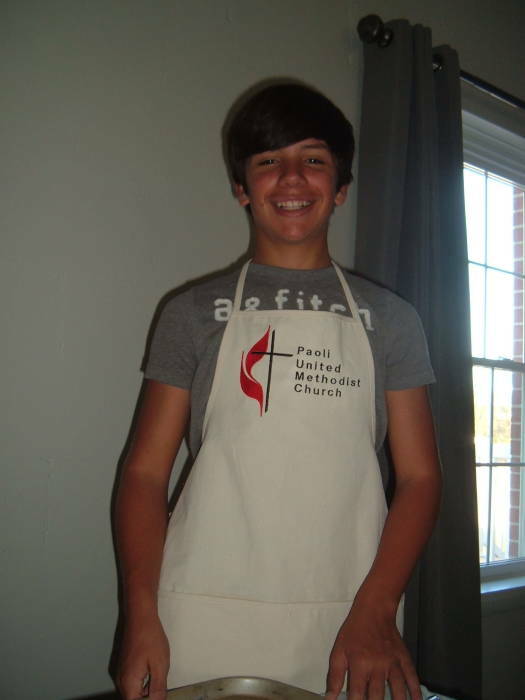 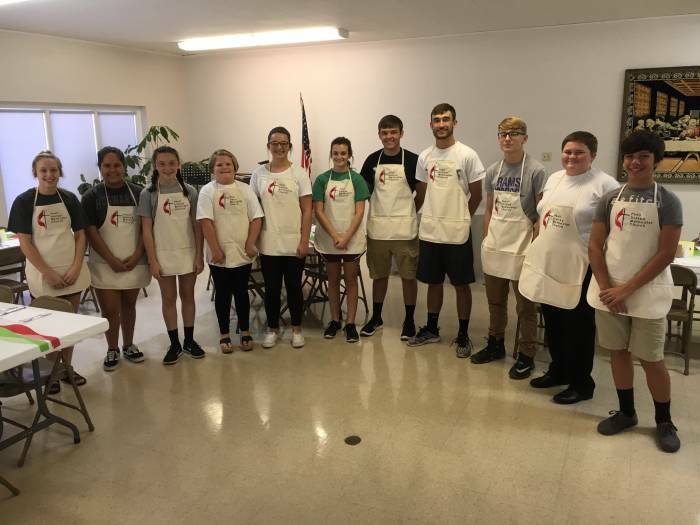 The Youth group served an Italian dinner in September 2017. 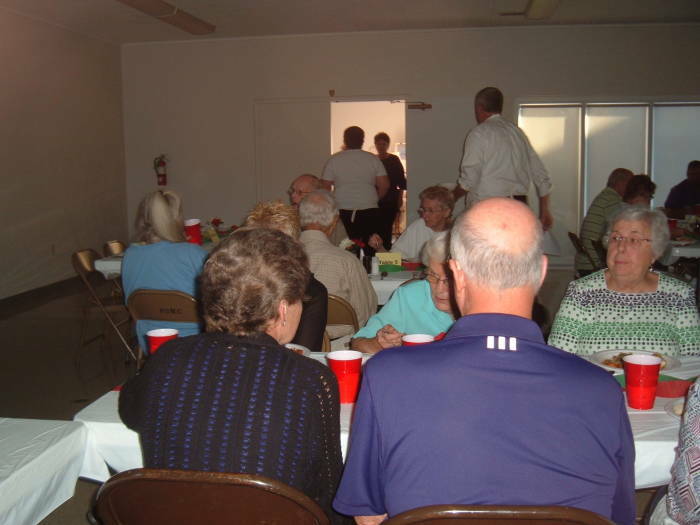 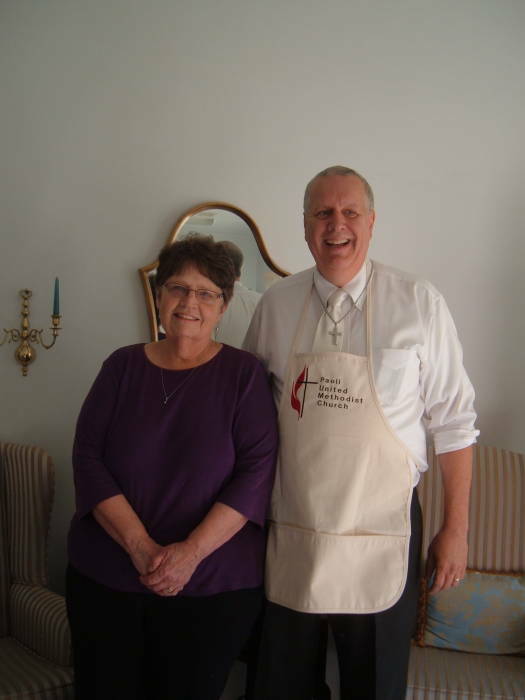 It was a fundraiser, a dinner open to the public with a free will offering. 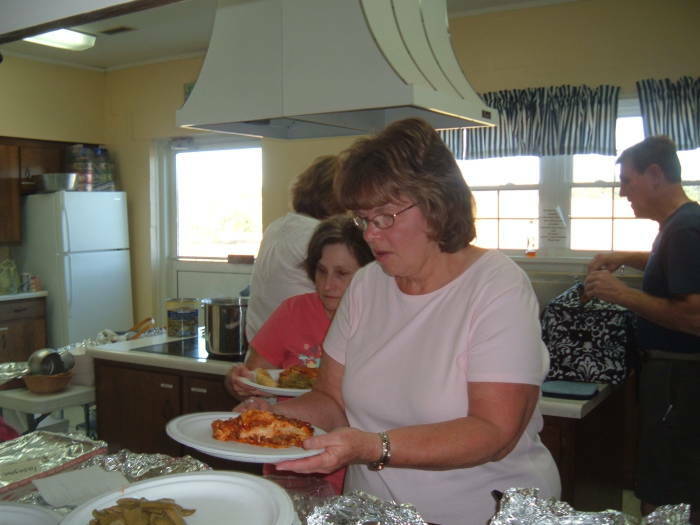 A choice of lasagna, chicken pasta, spaghetti, and macaroni and cheese. 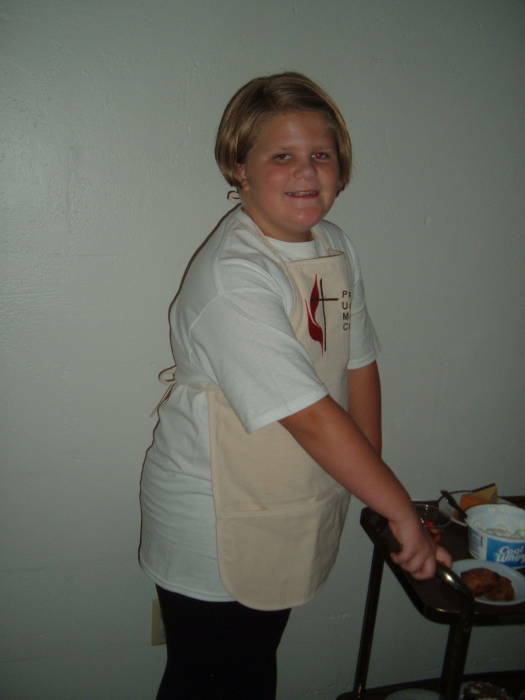 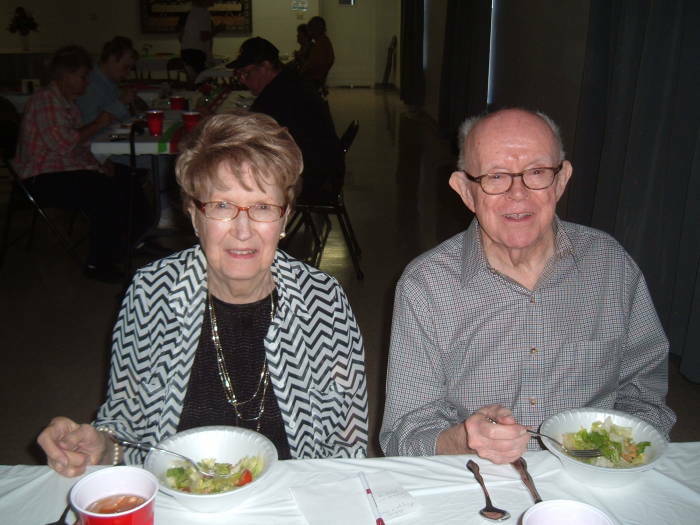 It was accompanied by green beans, tossed salad, and a dessert tray with pies, cakes, and brownies. 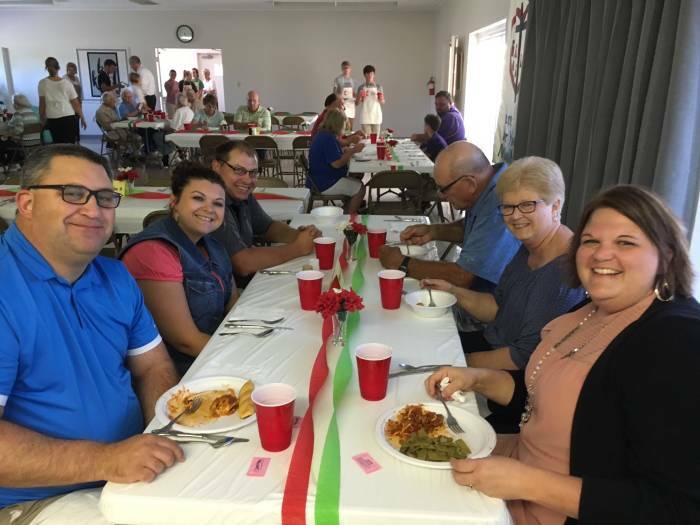 There were green, red, and white decorations on the tables, along with small vases of red and white flowers. 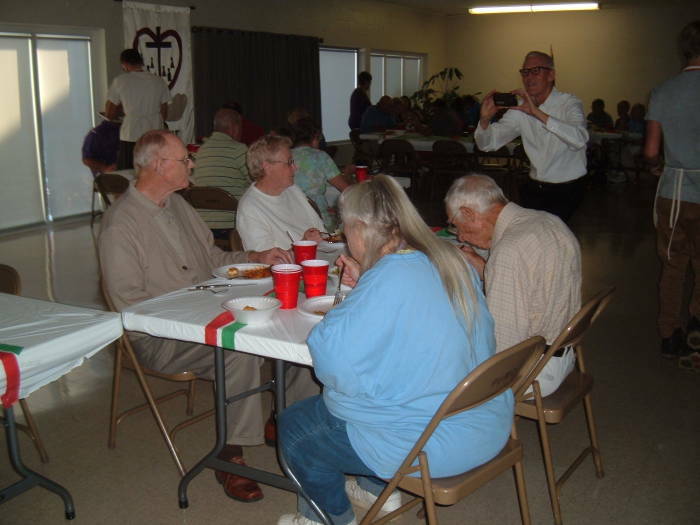 A CD of Italian music played during dinner.